1 – What does free climbing mean? Does it mean that they’d fall to their deaths should they lose grip with the rock? Free climbing is a form of climbing in which progression up a rock wall is achieved only by using your own skills and physical strength. It means you are climbing in direct contact with the rock and you are not holding to any equipment in order to progress. Tommy and Kevin had ropes threaded through gear that was attached to the rock (sometimes drilled into it). Should they slip off or lose grip on their handholds, they’d fall a few meters until the rope would tension and stop their fall. Climbing without ropes is known as free soloing and was not their intention for this project. 2 – Why did the climb take them so many days? 1 – The climb itself is pretty long, nearly 1000 metres and 32 distinct sections, checkpoints if you want. 2 – The climb was so hard that most sections could not be free climbed straight away. Whenever Tommy or Kevin fell in the middle of a section because of the difficulty, they would be lowered back to the beginning of that section (called pitch or rope length in climb-speak) for a new attempt. The new attempt would most likely be done after having rested for some variable time, up to a few hours. Some sections were so hard that they didn’t come right before a few days of trying. This lengthened their stay on the wall considerably, but it was something they expected. 3 – Rest days: Tommy and Kevin took a rest day approximately every third day on the climb. This is common practice on long & hard climbs to avoid burning out and to allow for fingertip skin to grow back enough for more climbing. There are other routes on El Capitan (the cliff is several hundred meters wide) which have been climbed in a matter of a few hours, even when free climbed. 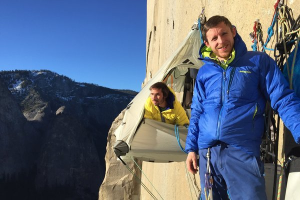 Tommy Caldwell himself managed to free climb the famous The Nose, descend from the top of El Capitan and climb a second route called Freerider in less than 24 hours. Yet, he knew the Dawn Wall would take him many days, exactly because of how difficult the climb is. 3 – Where were they sleeping? What were they eating? The climbers had a portaledge/tent each, which they’d use at night and for rest days. More on these here. As the climb went on, they would haul up these tents separately, together with their material (including clothing) and food. Food supplies were topped up by their friends who followed them on the wall in order to film a documentary and take photos. 4 – So you are saying they weren’t alone on the wall? That’s correct. Those in charge of documenting the event were often within touching distance from the climbers and would talk to them. But unlike the climbers, they could move up and down the wall on ropes through a technique called “jumaring” and were hardly ever climbing. They also had no requirement to stay on the wall overnight. Climbing is a very varied activity by this day and age. A bit like running can be anything from the 100 metre dash on a track to trail running up difficult alpine terrain. But yes, the climb Tommy and Kevin completed is in all probability the hardest multi-pitch route ever free-climbed. Much harder routes consisting of a single pitch (i.e. 15 to 50 metres) have been climbed elsewhere by other climbers. Other multi-pitch routes have been climbed in much more risky situations and in alpine or high-altitude environments, but the technical difficulty of those climbs was much inferior. However, for multipitch climbing in non-alpine environments (i.e. not dealing with ice, snow, risk of avalanches, lack of oxygen, severe weather changes etc), this climb is technically the hardest that has ever been completed and it’s a major step forward in this type of climbing. 6 – What was the deal with this “Dawn Wall”? What’s so special about it? The Dawn Wall is a section of the south-east face of a rock formation called El Capitan. This, in turn, is the biggest rock formation in the USA’s most prized venue for great rock faces: Yosemite Valley. The Dawn Wall had been climbed only once before in a single push (i.e. without ever going back to the ground) of many days but it was not free climbed. During this 1970 attempt, the hardest sections were “aid climbed”, which means they were overcome by pulling or standing on climbing gear fixed to the wall. This is unacceptable in the ethics of free climbing, but it was common practice at the time. 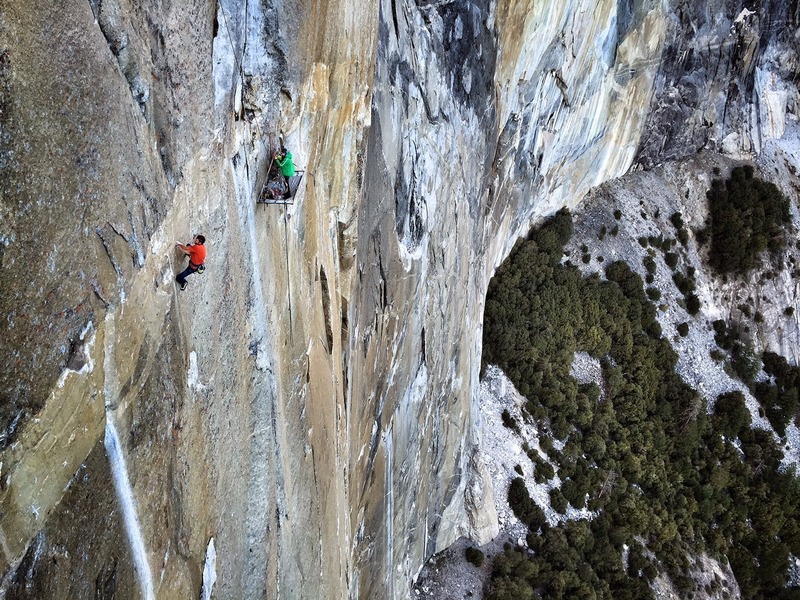 During the years, many if not all the routes up El Capitan were free climbed, since climbers technique and physical skills improved with each generation. However, climbing the Dawn Wall in free climbing style remained the prime “unsolved problem” of free climbing big rock walls in the USA, if not in the world. Of course, there are taller, steeper and possibly harder rock faces. But the Dawn Wall was one of the last challenges in one of the most important rock climbing destinations in the world, possibly the most important when it comes to climbing long routes. Hence the importance of this exploit. 7 – I’ve heard the climb took 7 years altogether. What does it mean exactly? 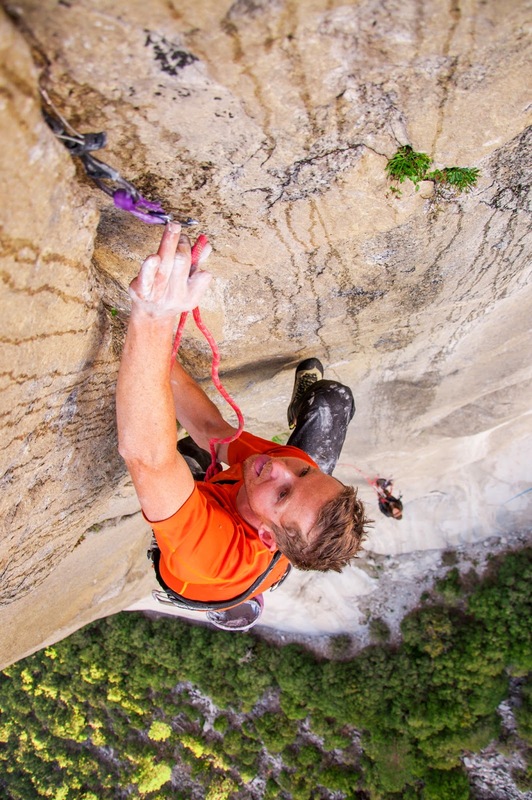 It means that Tommy Caldwell started this ambitious project 7 years ago. At the beginning, he had to literally find a possible route in the immense sea of granodiorite which is the Dawn Wall. As he started to explore the route, “designing” the sections that will become the 32 pitches of the route, he also started to drill bolts into the wall whenever it was strictly necessary. This was done when the rock was too blank to use the so called “removable protections” to thread the safety rope. Finally, he and Kevin started to spend time on the various pitches of the route to understand the movements needed to free climb the route and gain the necessary physical strength. It’s a bit like writing a piano concert and practicing its different parts until you can play the whole thing faultlessly. Or creating a gymnastic routine and then learning to execute it perfectly. More like 32 different gymnastic routines of various difficulty that you have to perform perfectly on a rock wall. If you get one wrong, however, you just stop and re-attempt that one until you get it right and you can move on to the next. These are the rules of the free-climbing game. 8 – I’ve read comments of people calling them irresponsible people or worse. Where they risking their lives? Not really. Free climbing is about pushing the limits of your technical skills and physical strength on rock. To do so, you need to climb something close to your absolute limit and fail many times before you succeed. Failing, in this case, means falling off the rock face repeatedly, a suicidal proposition without a safety rope threaded through solid protection gear. Basically, it’s fair to say that in all the sections where Tommy and Kevin knew they’d be falling a few times before getting it right, it was safe to fall. Their biggest risks were the same of most rock climbs of any level of difficulty: equipment failures (extremely rare), rock falls (quite rare on the solid rock of El Capitan and on a route they had already rid of potentially unstable blocks) and, given the season, ice falls from the very top of the wall. 9 – So, what were the challenges that they faced? 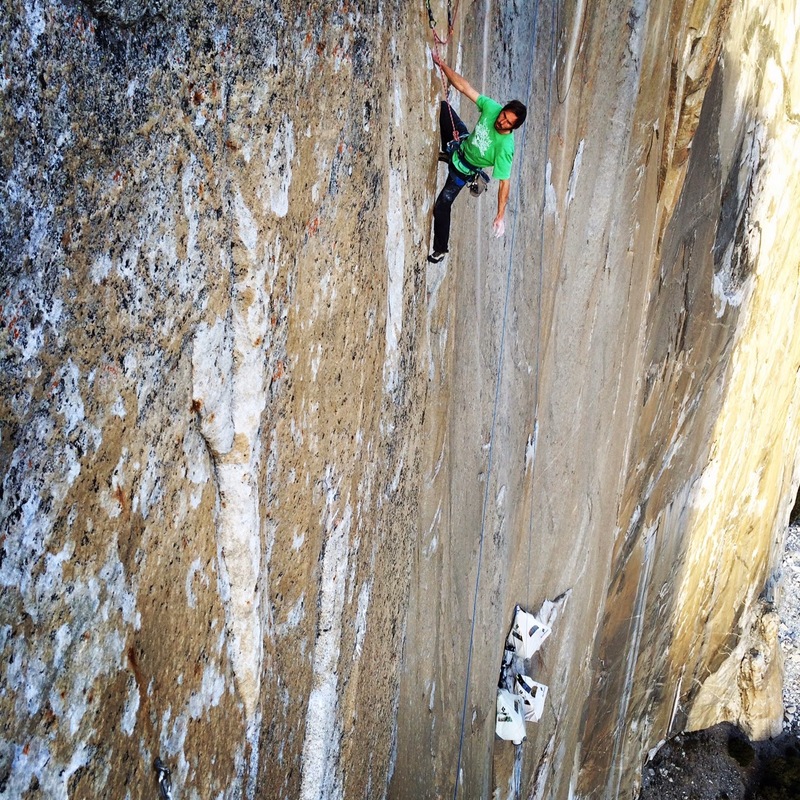 10 – What’s the point of climbing the Dawn Wall when you can get on top of El Capitan by hiking a trail? Climbing stopped to be “the easiest way up” a long time ago. New generations of climbers seeked for new challenges as equipment and training techniques evolved and the past challenges became often too easy. In this case, Tommy and Kevin are both professional climbers (i.e. their climbing ability and their achievements are of such level that earns them sponsorships and suchlikes) and wanted to realise their dream of seeing if they were capable of climbing a new level of difficulty in multipitch rock climbing. Please feel free to share this article to ensure the wider audience can understand correctly the value of Kevin and Tommy’s adventure. Thanks for reading and congratulations again to Tommy and Kevin!